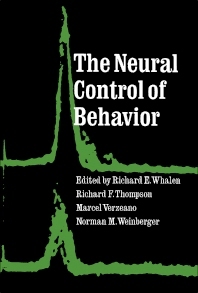 The Neural Control of Behavior contains some of the material presented and discussed at the first interdisciplinary conference on the neural control of behavior, held at the Department of Psychobiology of the University of California, Irvine in June 1968. The compendium presents papers prepared by scientists from a variety of disciplines, which touched upon the primary concerns of psychobiology. Main topics covered include neural mechanisms, evoked responses and network dynamics, perceptual mechanisms, and behavioral and cellular responses to novel and repeated stimuli. Hypothalamic mechanisms for motivational and species-typical behavior, learning and memory, and the behavior of hippocampal neurons during conditioning experiments are also discussed. Psychologists, neurologists, and psychobiologists will find the book very insightful.